A CRM system is a term that’s often used interchangeably with the term CRM software. 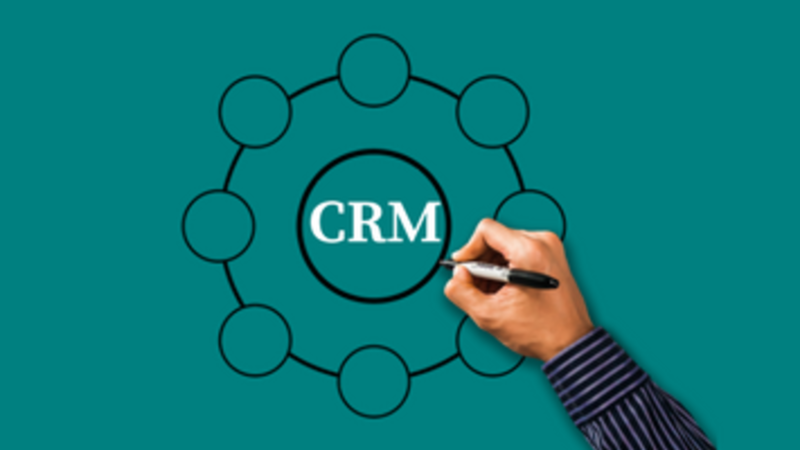 Having a CRM System allows your business to keep track of relationships in a single database. While you can setup a tracking system using a rolodex, notebook or spreadsheet, entering your customer data into a CRM Software System can take your business to the next level of professionalism and organization. For newer business owners, a spreadsheet may be enough for your CRM System. However, using CRM software for gathering all of that detailed information about your business relationships can make your work much easier. Imagine one database for every professional contact that includes their communication channels (email, phone, social media), list of related contacts, purchase history, and key details about your interactions. A shared CRM software system also provides your customer-facing staff members with this detailed data such as purchase history, buying preferences, and feedback / concerns. While Customer Relationship Management has garnered a reputation exclusively as a software tool, your strategy really begins with the relationship management. Choose your CRM software after knowing what your needs are as a business. Consider how you manage professional relationships, specifically with your customers. Do you have a policy, process or bigger strategy for how you will maintain consistency in your messaging? Each email, phone call, mailed letter, and direct message on social media should be thoughtful and and “on-brand”. What information is okay to share with customers and what is kept privately? Do you have a transparency rule in place? What is the voice of your company’s brand? Do all staff members understand that voice and know how to align with it while communicating with customers and vendors? How do people perceive your business? What is your reputation like? Are you measuring it? Before laws and complex social hierarchy there were promises. A promise is the assurance that something will be done and to the specifications agreed upon. Your promise continues to be an important tool for business and life in general. We keep promises because it helps to build a foundation for building trust in our relationships. You are making a promise to customers when you sell a product or service to them. How can you make sure to maintain your promise and continue to improve? Use your CRM system as a repository for customer feedback about your brand, products, services, and communications. This is a powerful resource for further research and development of your deliverable – so you can continue to deliver upon your promises. Some form of this saying appears in every religious text and is probably said to every child by their elders at some point in life. This is part of an expectation we have of others. We want people to behave towards us in a respectful and thoughtful way. If we expect that of others, then it is only logical that we should act with integrity by behaving the same way towards others. This rule absolutely applies to business too. Treat people well, be thoughtful and they will speak positive volumes about you. It’s the best marketing you can get, and it’s free. The way your business communicates with customers and vendors is a direct reflection of your expectations of them. Even if someone posts a nasty comment about your business on a social media channel, the business has a strategy that is thoughtful and respectful for handling it – right? Integrate your communication processes with your CRM strategy and system. This pulls everything together for a unified approach to your brand’s reputation management and building trust. Ask yourself this… what is a reputation really? It is when people say good or bad things about you based upon your past interactions with them (or the people they know).